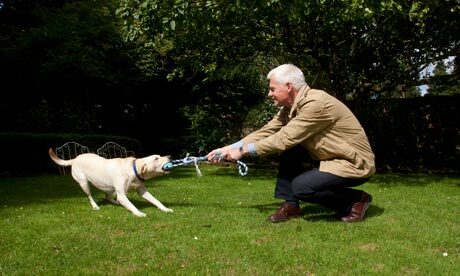 Playing Tug-o-War with your dog is a time-honored tradition of many pet owners everywhere. It can be a great way to allow your furry little friend to have a little fun and blow off some steam at the same time. Many people don’t realize, however, that Tug-o-War is not a game that is necessarily appropriate for all types of animals. There are a number of pros and cons to playing the game with dogs that pet owners need to consider before making any type of decision. One of the biggest pros of playing Tug-o-War with your dog is that it allows you to kill two birds with one stone, so to speak. Not only do you get to take your dog outdoors (or indoors, if the weather isn’t cooperating) and allow the pup to get a little exercise, but you also get to teach and reaffirm basic commands like “Drop” and “Take” at the same time. Additionally, the American Society for the Prevention of Cruelty to Animals has indicated that Tug-o-War is a great way to redirect chewing behaviors by puppies who are teething into more positive behavior as well. Instead of allowing a teething puppy to chew up your couch, you can allow him or her to have a little fun instead. One of the major disadvantages of playing Tug-o-War with your dog is that it might accidentally reinforce aggressive behaviors that are best left untouched. If your dog has a high prey drive, for example, or tends to be the dominant animal in social situations, Tug-o-War could only reinforce these behaviors that you may be trying to curb through other means. According to several notable experts, playing Tug-o-War with your dog may also encourage obsessive behavior in a puppy, which could make the animal difficult to control later on in life. Today we’re bringing out a compilation of Skin Eze reviews we’ve received in the last couple week. We love seeing positive skin eze review from our customers. Keep ‘em coming! I researched the internet for something to help my daughters dog as well as my own. I came across this and read the reviews. But I thought they only put the good reviews up so I looked some more. I did find some unhappy customers but you will with everything. But for the most part everyone was really happy with the product. So I thought I would give it a try. It has helped tremendously for my daughters dog. His hair is coming back in on his back and he rarely itches his paws. His coat is looking so good it’s unbelievable. My dog used to lick his paws to the point of sores. That’s almost stopped as well. I just ordered the spray for itching and can’t wait to get it in. I’m sold on the product and will Highly recommend it to everyone. Thank you SKIN-EZE!!! One of my dog has allergy and I found this product when I was in the US. Now I am in Japan, I searched similar products but I couldn’t. No sever side effects is the most caring issue. I don’t want to use steroid for my dog. She is in better condition so far ,because of this product. Thank you. I recommended this product to my cousin for his shiba inu. I hope his dog will get better soon. Its a nice to find a site that caters for pets with natural products after multiple vet visits had not produced any results. I don’t know what we would do with out Skin Eze products! My Bichon has both food & environmental allergies, she was in really bad shape before I found AllergicPet.com. Now she’s doing great!! How often a dog should urinate? Even though we love our dogs like they are family, their emotions, health, and bodily functions are not the same as a human’s. 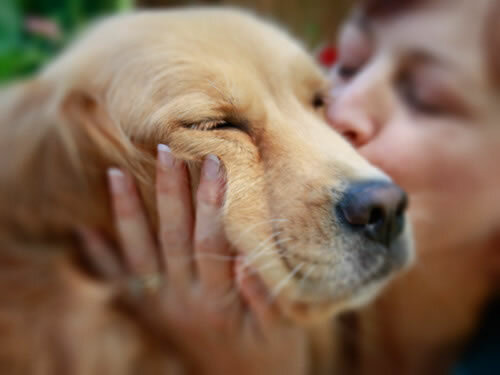 For all the things we know about our pets, we are still learning new things every day. It is important that we understand their needs so that we can care for them properly. Doing a little research upfront will help us give our dogs happy and healthy lives. Consider this question: Do you know how often a dog should urinate? The answer is that it varies depending upon the size of the dog and its overall health. In general, dogs produce between 10-20 ml of urine per pound. So, how many times does that mean they need to go out and relieve themselves? 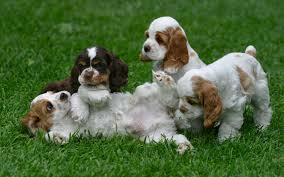 Dogs need to urinate between 3-5 times a day. In that respect, they are a lot like humans. Dogs need to go to the bathroom after meals and a couple of times in between, just like we do. That applies even if you are on a road trip. Think about how you feel when you have to go to the bathroom but you are trying to wait to get to the next exit. This is how a dog feels when they are unable to relieve themselves for long periods during the day. Putting yourself in your pet’s shoes is always a good gauge to determine how to treat them. Their frequency of urinating is definitely one of those areas where the mind of man and animal meet. Dogs in the front seat? Dogs driving in the front seat of cars with their owner can be a distraction. 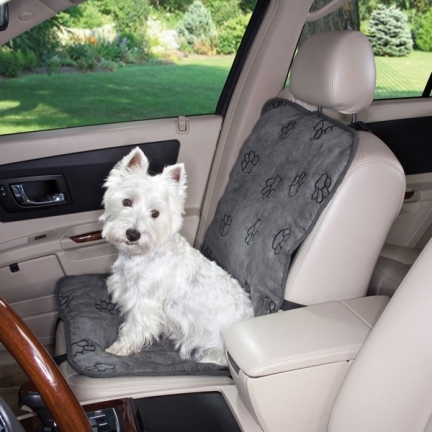 Statistics demonstrate that 90% of owners of pets travel with their pets. What is more alarming is that the Nationwide Mutual Insurance had discovered that 8 percent of drivers had to confess to having a pet on their lap while driving. Bark Buckle UP, a pet support organization reported that during a 35 miles-per-hour accident, an uncontrollable dog weighing 60 pounds could be as forceful as a 2,700 pound missile. Dogs that are unrestrained could delay rescue workers involve in dangerous accidents. Dogs driving as passengers in the front seat also have a higher risk of being hurt or even being ejected from the car during an accident. The driver or passengers could also suffer a panic attack and collision. Airbags that become open in the front seat of a vehicle as a result of the accident could also become detrimental to your dog. An unrestrained dog wants to stick his head out the window. While driving dust and dirt could cause danger to your pet’s eyesight. If you smoke in your car, you may cause your dog to become nausea. To prevent these dangers from occurring, it is recommended that you have your dog belted in the rear seat in a safety harness. Therefore, if your dog always wants to lie down, sit up or stand he could do so while being restrained. If you own a young dog or other pet, you may still be trying to get some of the basic behavioral issues down without much success. In that case, an obedience course could be the right answer for your pet. However, you may wonder how to find the ideal course that will really teach your dog or pet to behave in ways that the animal will retain. By following these tips, you should be able to find the ideal course for you and your pet. First, you want to make sure that the class fits your life. 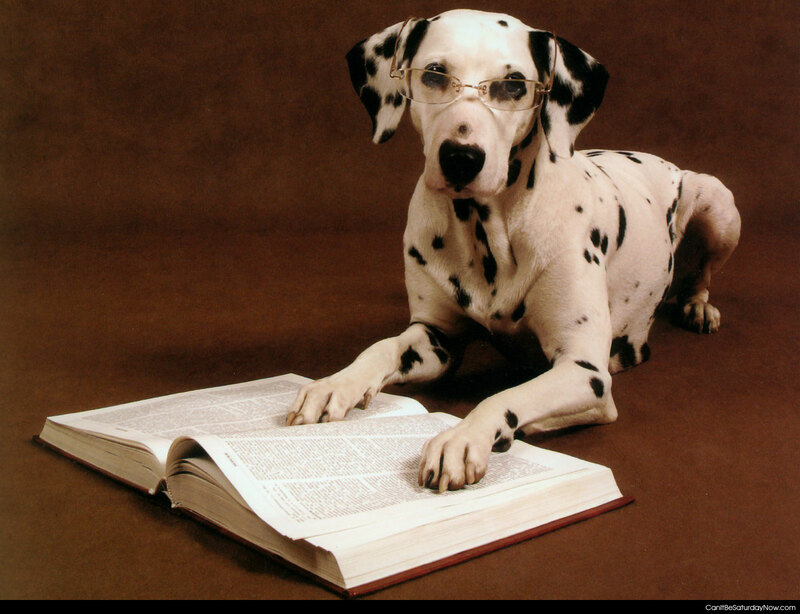 You should have the time to drop off and pick up Fido every day that class is in session. You should also make sure that you can afford the class and that it’s not too far outside of your budget. Also, it helps to choose a class that’s nearby, saving you both time and gas money. Next, you want to make sure that the instructor has the proper certifications and credentials to teach your pet some new behaviors. Look for certifications from the Association of Pet Dog Trainers, National Association of Dog Obedience, International Association of Canine Professionals, or National K-9 Dog Trainers Association. You can research the school online, but feel free to ask the instructor questions too when you drop your pet off for class. You may also want to try a few different schools before settling for just one. Take your pet to various classes and see which one your dog fits in best with and which one that you feel will offer your pet the best chance at improving its behavior. Lastly, you may want to get some referrals. You can ask friends, family, and coworkers who have utilized obedience schools before. If you need more outside input, you can also reach out to your veterinarian. If you use these tips, you should have no issue finding a great obedience class for your pet. 1. Rule out medical problems. Consult with your vet about the crate soiling problem to determine if the soiling is medical or behavioral. 2. Avoid punishing your dog. In many cases, punishment can actually increase crate soiling as the dog becomes frightened. 3. Schedule regular feedings. Look at the type of food you’re feeding your dog, as well as how often you’re feeding him. Water should be available at all times, but most dogs only need food twice a day. 4. Bring your dog out often. Dogs that soil in their crate should be brought outside frequently throughout the day and night to prevent indoor accidents. Keep the area in which you confine your dog as clean as possible to help the dog become habituated to a clean environment. This means changing the puppy pads or newspaper after your dog has soiled, or washing down the soiled tarp or plastic. Continue to bring your dog out frequently to prevent him from soiling in the house, and reward outside eliminations with treats and praise. 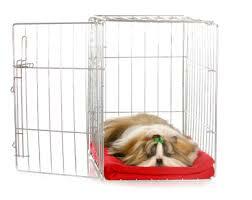 Over time, you can gradually reintroduce your dog to the crate for short periods of time. Dog owners are often perplexed when they are enjoying the outdoors with their furry friends and the animal begins to snack on grass. Several theories exist as to why some dogs try to eat grass, but a general consensus hasn’t been found. It’s been suggested that dogs eat grass for a variety of reasons, including the fact that they are biologically hard-wired to eat as much as possible when food is available in order to compensate for future lean times. 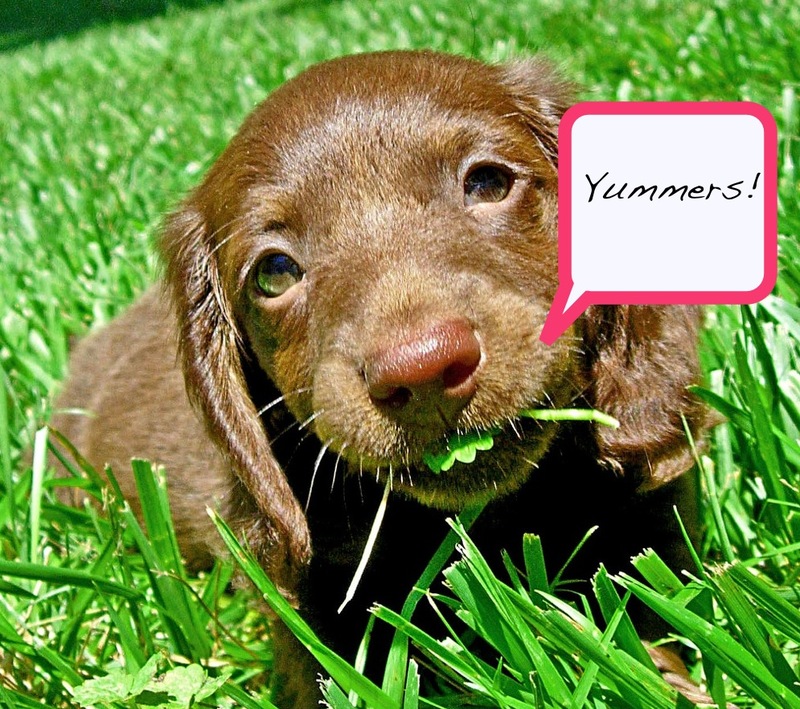 Dogs may sometimes eat grass in an attempt to relieve stomach discomfort or pain. Although this is often attributed as the main cause of dogs eating grass, experts contend that it’s actually very rare. It’s also speculated that some dogs chew on grass out of boredom. This is especially true of dogs that are left out in the yard the majority of the time. 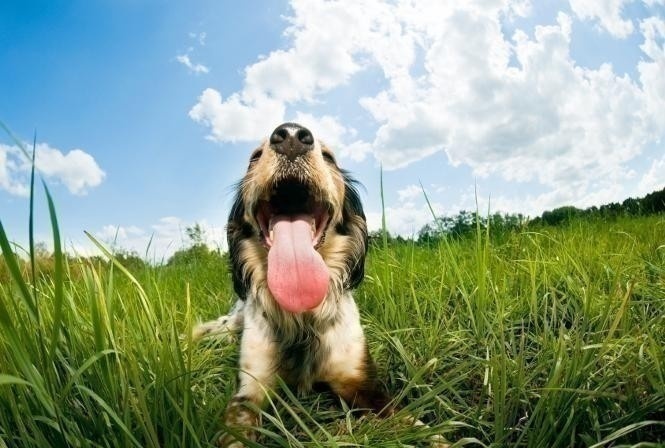 Some dogs may simply enjoy the taste of fresh green grass. Experts believe that they may be trying to compensate for a lack of dietary fiber, and some pet owner have noticed that adding fiber cuts down on this behavior. Although chewing on and eating grass is generally looked on as harmless by veterinarians and other animal experts, be careful not to let your dog chew on turf that has recently been treated with chemicals.